Free Roofing Estimate: Is It Really Free? It must have something to do with how people think! 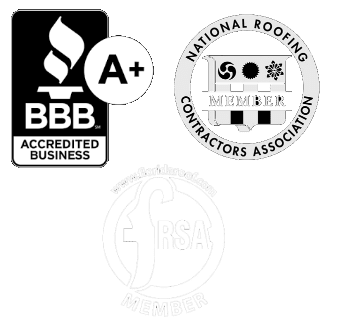 There are numerous roofing companies who still believe they must offer a “Free Roofing Estimate” for the opportunity to meet potential customers and compete with everyone else that eagerly give “Free Estimates” just for the chance to be awarded the job based on their impressive good price. There are two issues that homeowners should consider, first how sound is the advice and second are “Free Estimates” really free. When roofers eagerly compete to be awarded the job, homeowners should consider if the roofer is focused on providing the best roof available or if they are focused on being the winning bidder by using cheap materials and questionable laborers. “I just don’t get it” says Amos Borntreger, founder and owner of Sonshine Roofing, a 26 year old roofing company in Sarasota Florida. 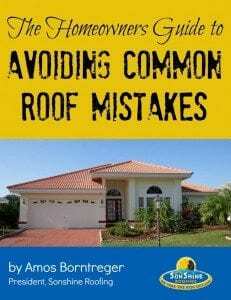 “People spent thousands of dollars on roof repairs and tens of thousands on roof replacements and yet they hope to receive: sound advice and a state of the art roof from roofing contractors who eagerly compete to be the winning bidder with their impressive great price and who offer “Free Estimates” to entice potential clients to call them. “We see it happen all the time. Many roofs fail and must be replaced even though the materials has served less then one half of the life it was designed for. It’s so sad!” Amos continues, “Many roofs could last twice as long if certain steps were taken”. Gas is not free, workers earn wages (fact is the law requires that they get paid) and it cost money to operate a business. These are just a few of the very real expenses that must be paid by someone. Those expenses don’t disappear even though homeowners request a “Free Estimate” and roofers claim “It’s Free”. Consider this: roofing contractors know the average homeowner will get three or more estimates before choosing a contractor so they must recover the expenses they incur for the “Free Estimates” they give away to the people that don’t buy. This means they must add those costs into every bid they make because they don’t know which one will buy. So then the person who does not make a purchase gets something free but it does them no good because they did not buy. This then leaves the purchasing customers paying for all those “Free Estimates” the company gives away. “We don’t think that’s fair to our buying clients” says Amos. Consumer may think a “Free Estimate” is a good deal, but is it really? 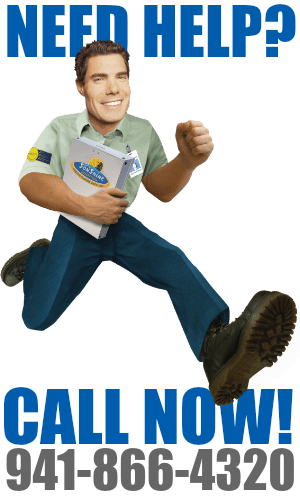 When roofing companies compete to be the winning bidder you should wonder, are those estimates really free or are they very expensive? The answers to those questions will have a lot to do with how you think. You decide!